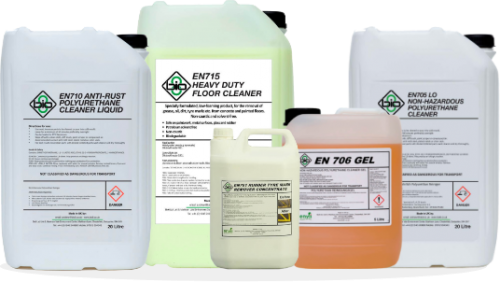 EN714 Industrial Floor Cleaner is a heavy-duty floor cleaner for use with scrubber dryers. 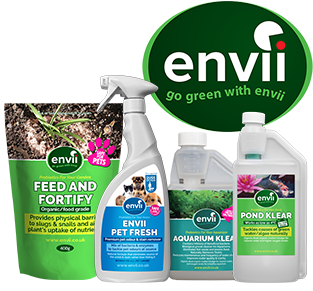 It creates a small electrical charge that releases the dirt from the surface. 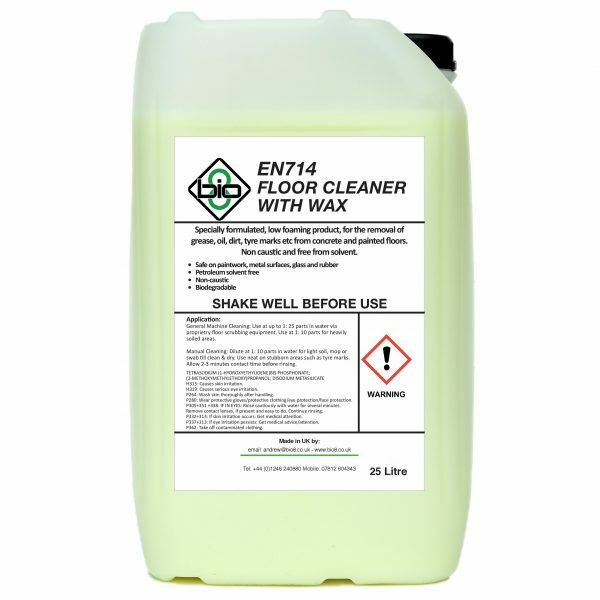 Customers have found that replacing traditional hard-surface floor cleaners with EN714/715 has dramatically improved cleaning performance and floors have benefited from the superior surfactant technology in terms of general cleaning. Will this remove Fork Lift tyre Marks? Potentially if used neat and the marks are light. However, EN701 is designed for heavy tyre marks and is a better solution. EN714 will reduce tyre mark build up when used as part of your regular cleaning maintenance. General Machine Cleaning: Use at up to 1:25 parts in water via propriety floor scrubbing equipment. Use at 1:10 parts for manually cleaning heavily soiled areas. Use neat on stubborn areas such as tyre marks. Allow 2-3 minutes contact time before rinsing.